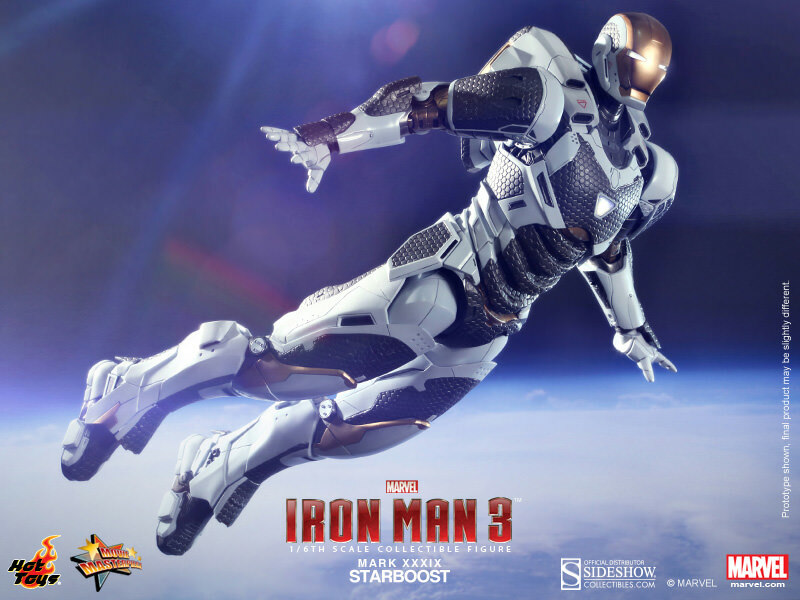 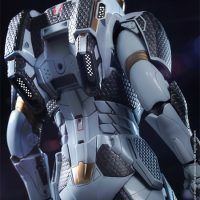 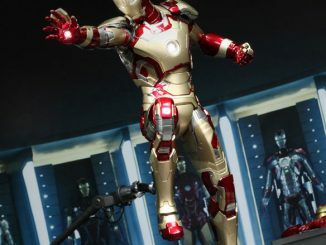 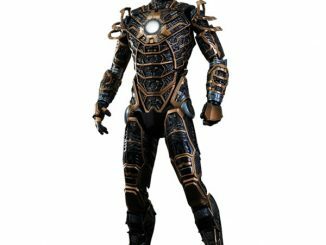 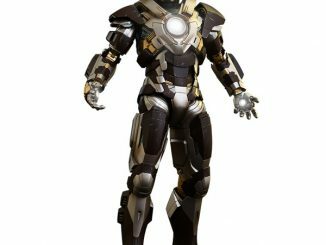 With the unique mix of white, gold, and black, combined with the textured look of the armor, Starboost became an instant hit when he arrived on the scene during the ‘House Party Protocol’ in Iron Man 3. 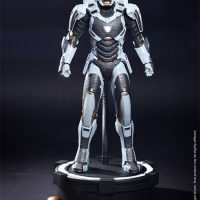 The highly-detailed 12-inch-tall figure features an assortment of goodies that include two gold-colored face masks, LED light-up functions, and a figure stand with a flexible pillar that allows for dynamic posing. 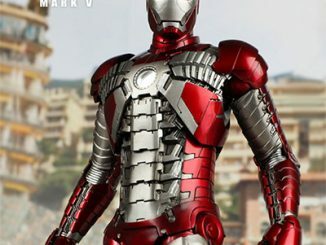 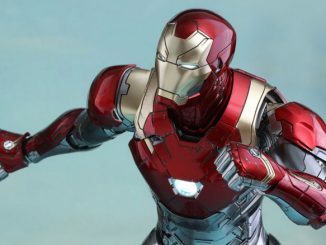 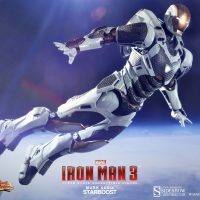 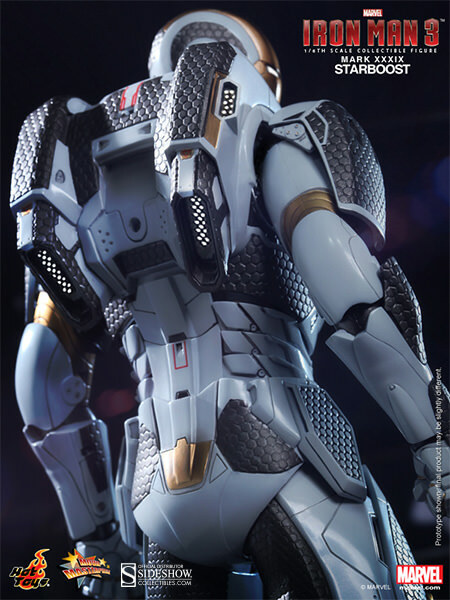 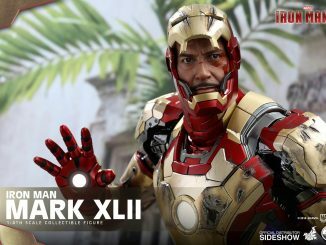 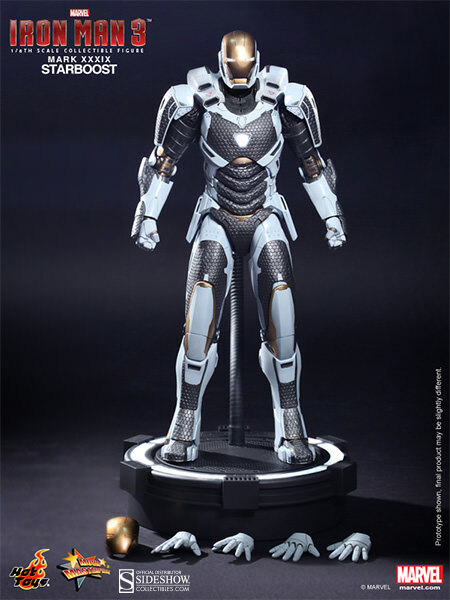 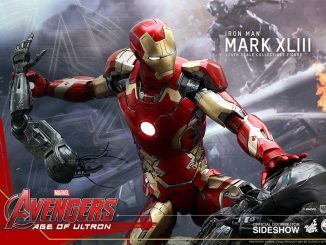 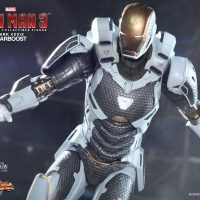 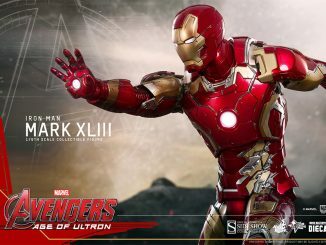 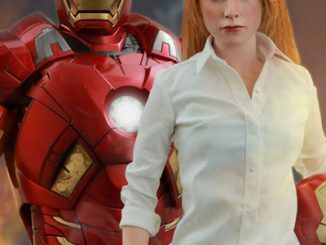 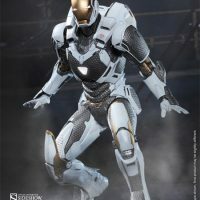 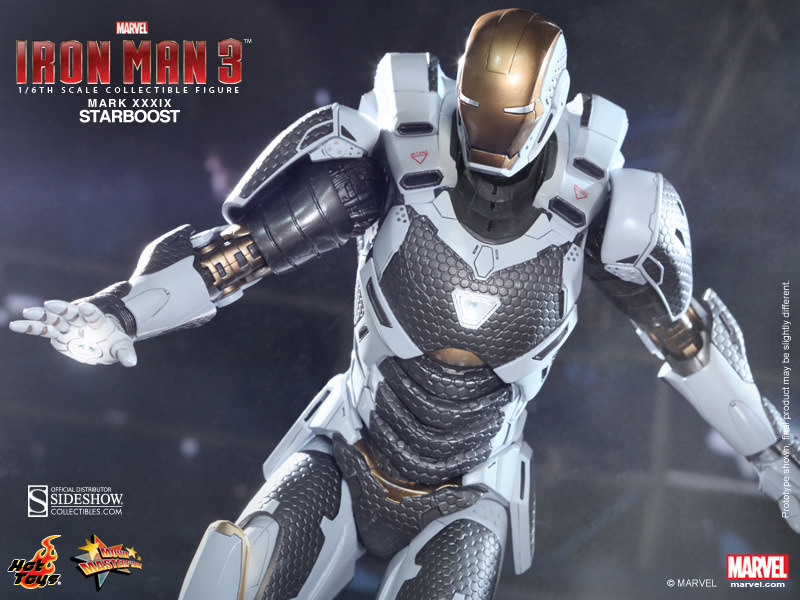 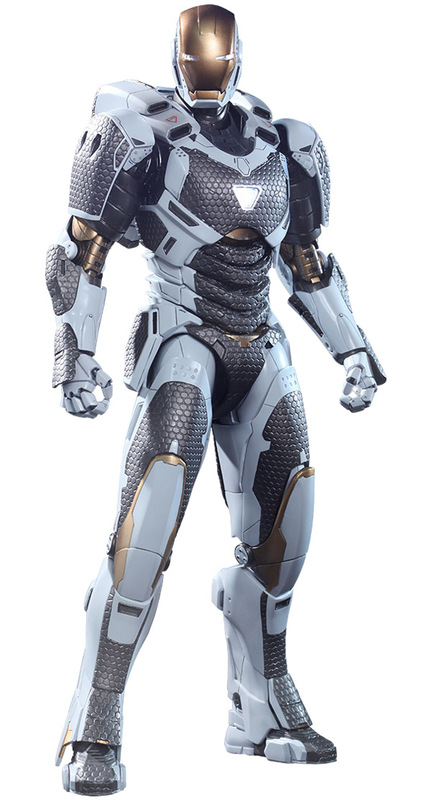 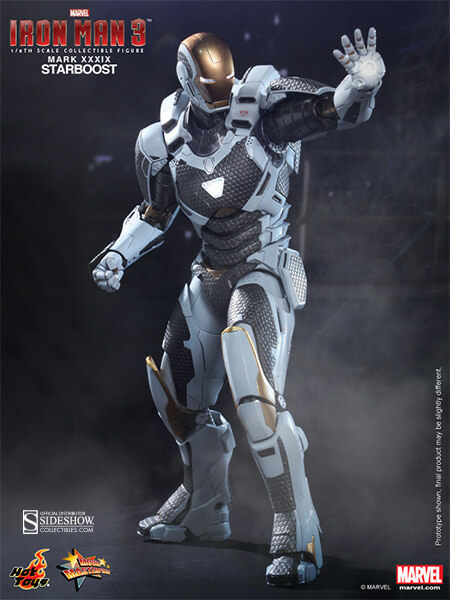 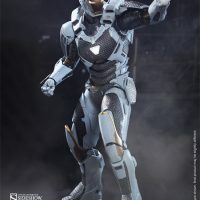 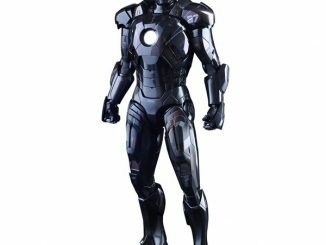 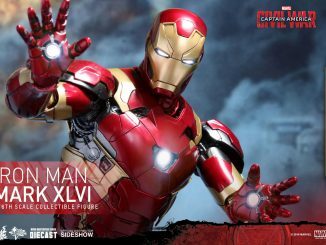 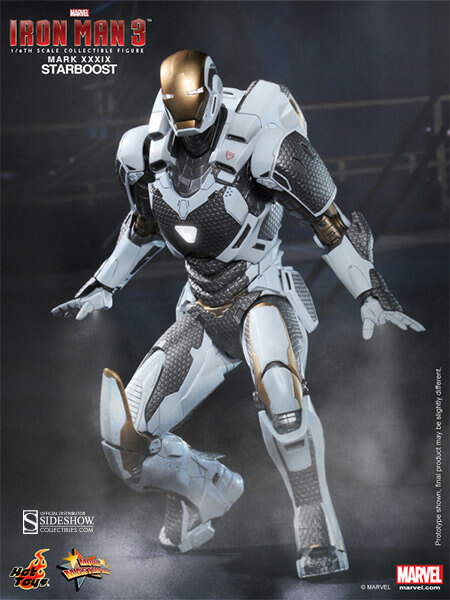 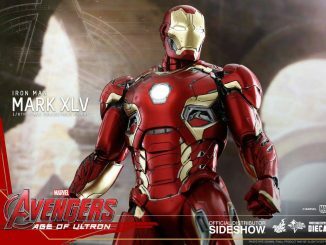 The Iron Man Mark XXXIX Starboost Sixth-Scale Figure will be available November 2014 but it can be pre-ordered now for $269.99 (or for as little as $67.50/month) at Sideshow Collectibles.